Try our take on an after school classic. 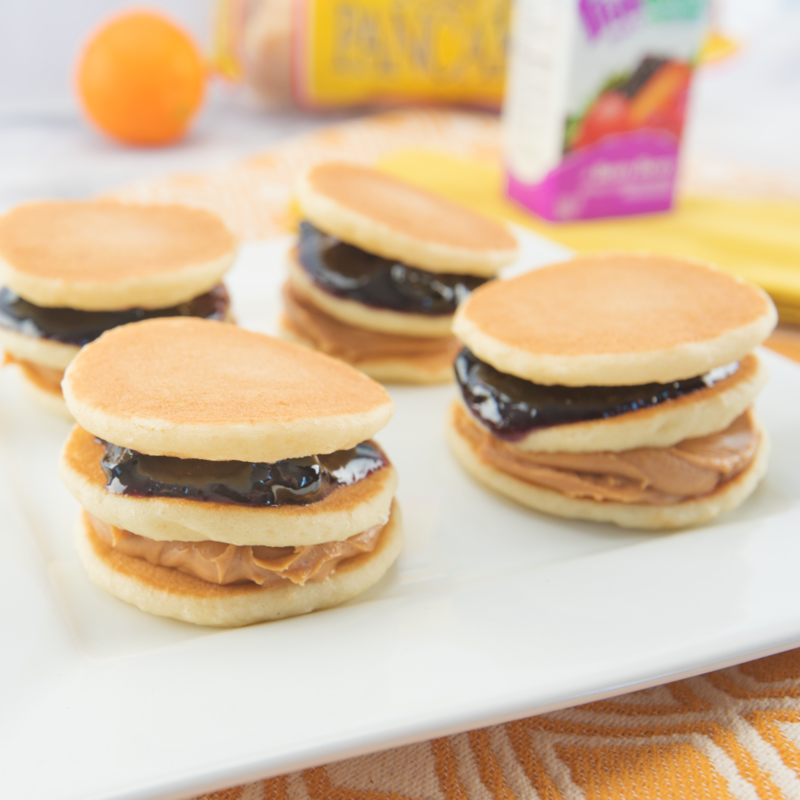 Trust us, kids prefer PB&J the DWB way! Once pancakes have cooled, use your knife to cover your buttermilk minis in peanut butter. Next, stack another mini on top of that and cover it with jelly. Finally, add another mini on top and you’re ready to eat! You can keep it simple, or keep stacking them into a delicious tower of snack time power!